Nicknamed “the professor” for his smooth, precise, intellectual driving, Alain Prost won four World Championships. A Formula One racecar has an incredibly stiff chassis, sophisticated suspension and aerodynamic downforce designed to keep all four tires glued to the track. 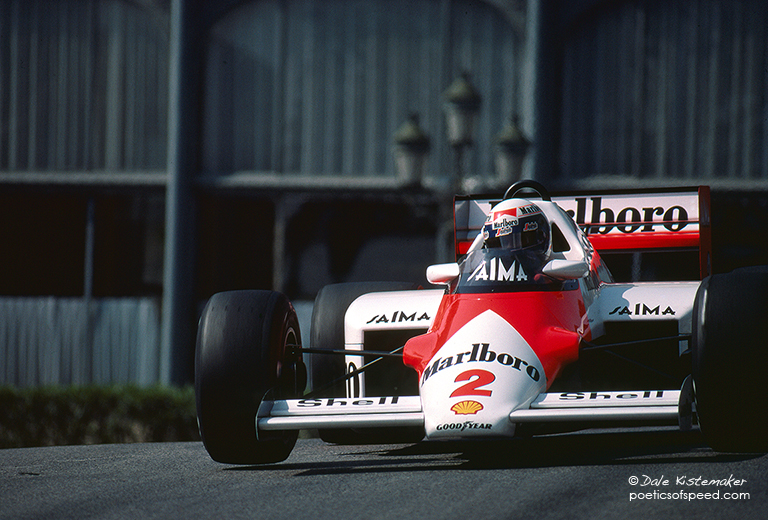 As Prost’s McLaren screams through the Casino turn at the Monaco Grand Prix the inside front wheel lifts. This is a rare moment and reveals he was driving the car at its absolute limit.